On January 15, 2019, Helen B. Yelton entered into eternal rest to be with her Heavenly Father. 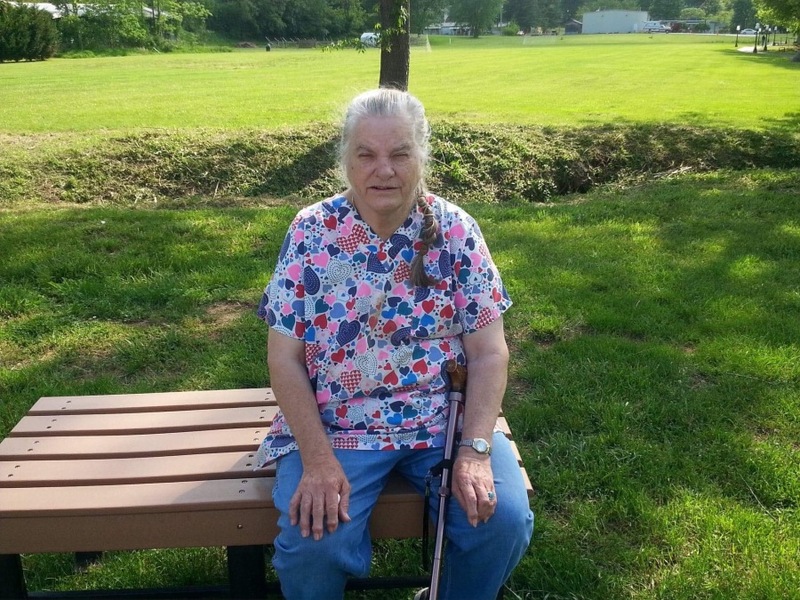 She was a native of Mitchell County who truly loved raising a garden, canning, making quilts and spending time with her twin sister Pearl and brother in law Wade. Helen is going to be greatly missed by her friends and family. She was the daughter of the late Glenn and Mae Banks and was preceded in death by brothers: Russell, Edmond, and Marshall Banks and sister, Ethel Hoilman. Survivors include her husband, Jack Yelton of the home; daughter, Thelma Stafford (Danny), sons: Wade Yelton (Renita) of Bakersville, NC and Doug Yelton (Lynn) of Spruce Pine, NC; sisters: Pearl Yelton (Wade), Josie Garland, Wanda Hope Yelton, Dianne Farley, Myrtle Butler, Mary Garland (Ray), and Thelma Lovelace; brother, Ronnie Banks; grandchildren: Lucus Stafford, Matthew Stafford, Austin Yelton, Autumn Ellis, Patrick Grindstaff and Jessica Roberts; great grandchildren: Addyson and Ansley Roberts, Zoey and Sawyer Ellis, Avram Yelton, Skylar and Hayden Grindstaff, and a great granddaughter on the way. Funeral services will be 7:00 pm Friday, January 18, 2019 in the chapel of Henline-Hughes Funeral Home with Gene Self officiating. The family will receive friends one hour prior to the service. Burial will be 11:00 am Saturday in the Garland Cemetery on Bad Creek Road. Memorials may be made to Hospice and Palliative Care of the Blue Ridge, 236 Hospital Drive, Spruce Pine, NC 28777.